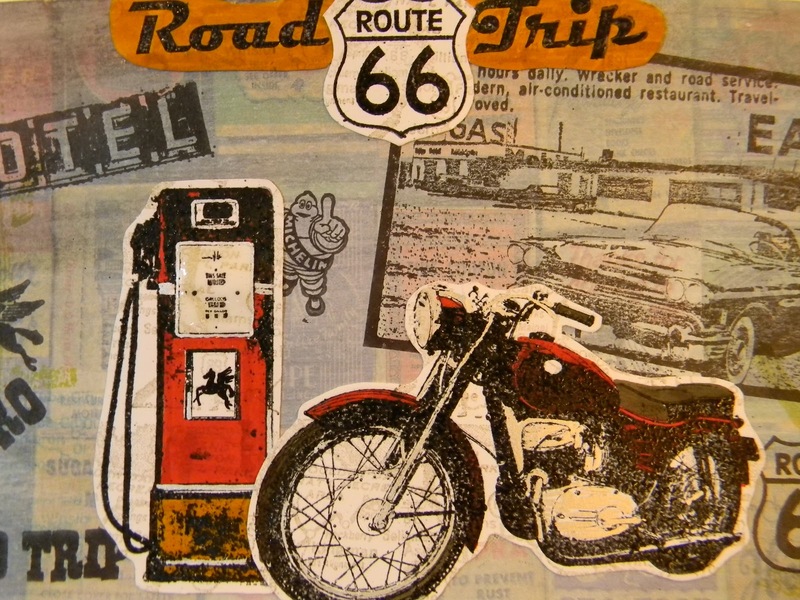 The Artful Maven: Get Your Kicks On Route 66!!! It's time for the Artistic Outpost Design Team Blog Hop!!! 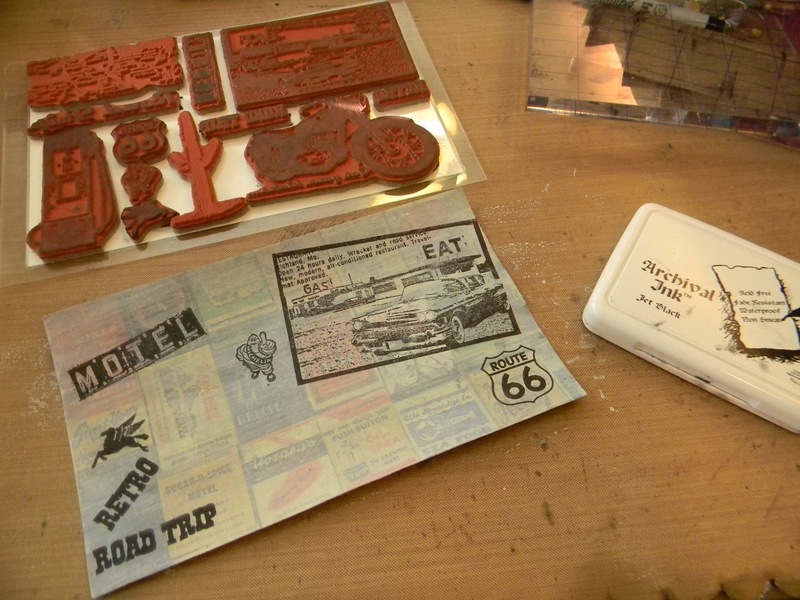 Our challenge this month was to use either the Huck Finn or Route 66 stamp sets. 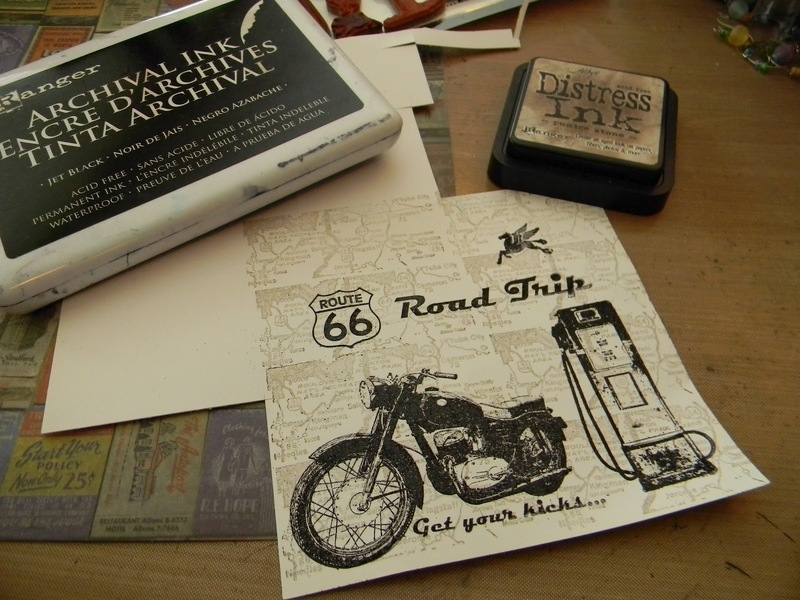 I choose the latter, and decided to do a postcard, just like I did with my On The Texas Road Again...hmmm, I'm feeling a a postcard theme set starting to take shape. 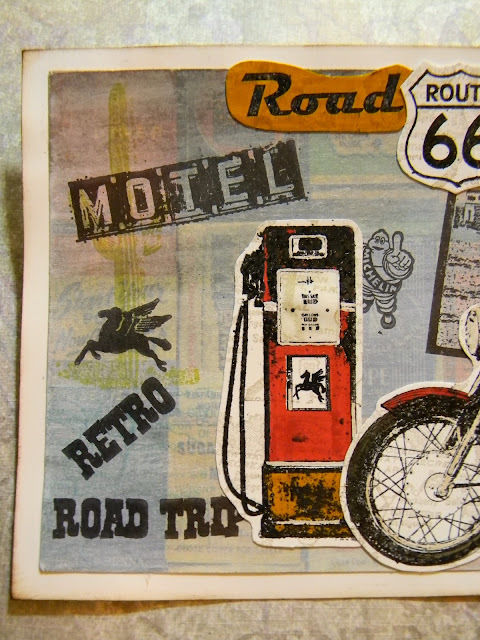 Don't forget to visit all the other AO Design Team's blogs and take a gander at their ultra cool creations. These gals have amazing talent and creativity galore! 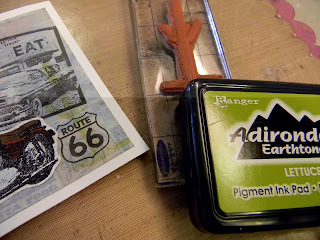 I stamped the map image with Pumice Stone Distress Ink several times Specialty Stamping Paper. I stamped the other images onto this map paper using Jet Black Archival Ink, colored them in with Distress Markers, and then cut them out. A added water to Claudine's Gesso to thin it out a bit, and then brushed it onto Tim's Destinations paper to tone down the images a little, so mine would not be lost. I did this twice, and wished I would have only done it once...it's a little too toned down. 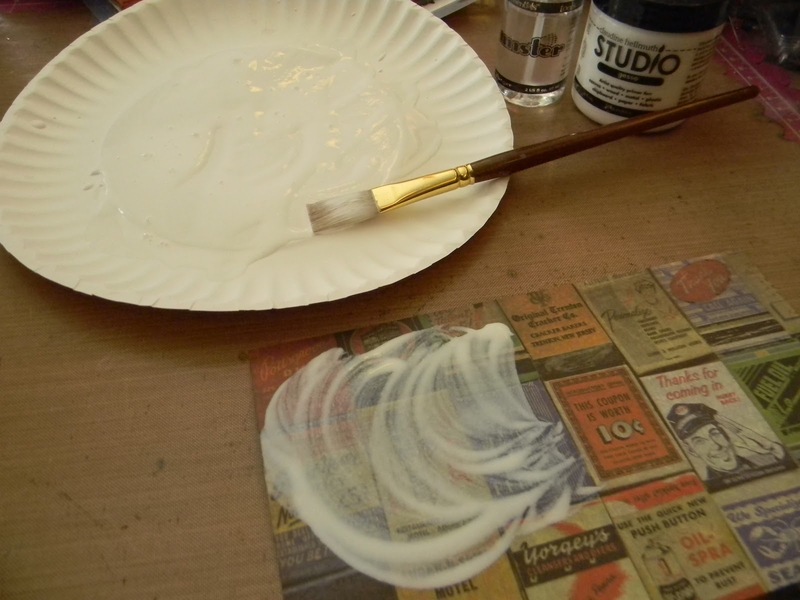 Here is the before and after the Gesso. I stamped the other images from the plate onto the background paper with Jet Black Archival. I adhered this to white cardstock, giving it a border now. 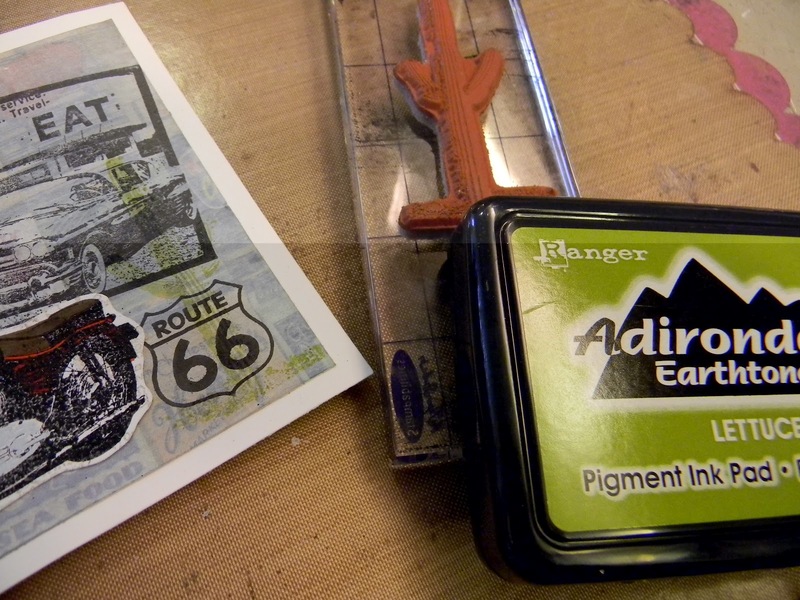 I added back a little color when I stamped my last image from the plate, a Saguaro Cactus, in Lettuce Adirondack Pigment Ink. That's terrific, I love the cacti. very cool technique. Very cool card! This is amazing, Anita. 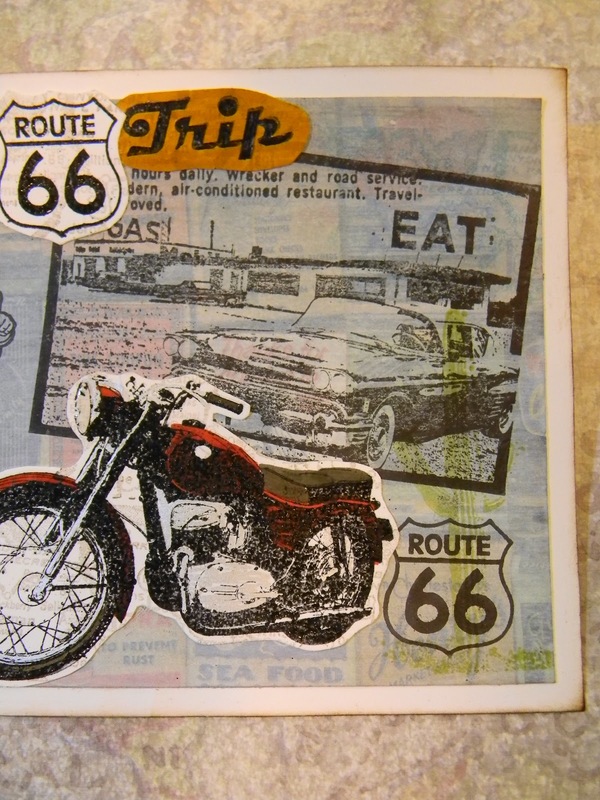 I love the way you stamped some of the images on the map image and the use of the TH Destinations paper with the gesso. And I don't think you toned it down too much. I really like the way it came out. 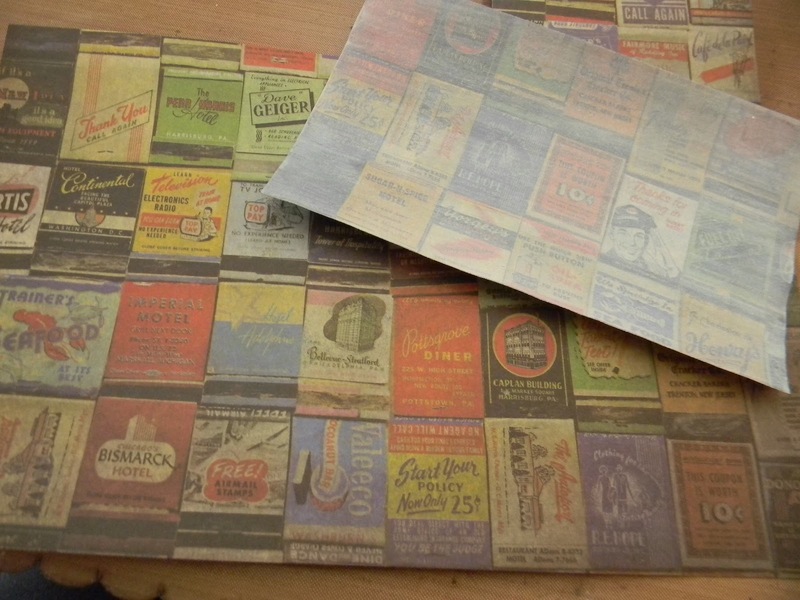 Sure do love these postcards you are making! 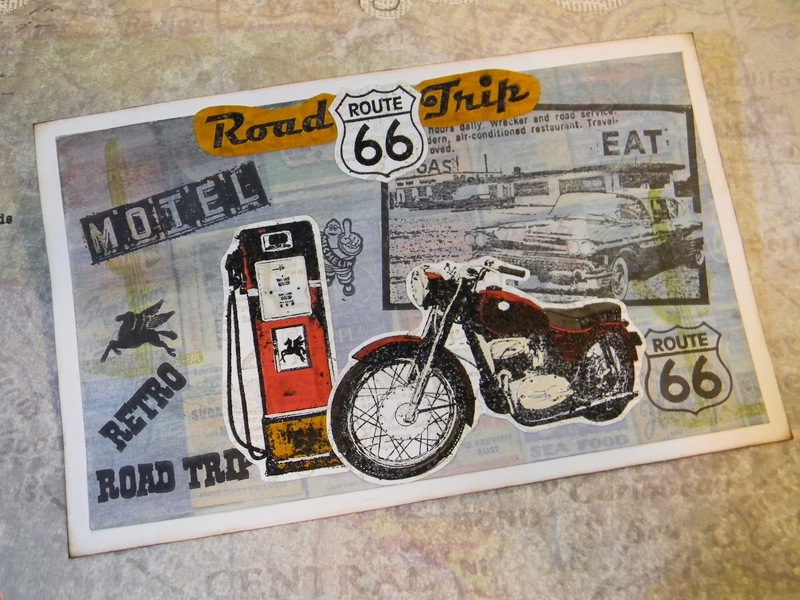 Wonderful collage of images, looks just like an old postcard! Super card! I have to make a birthday card for my brother, and you inspired me with this one! That thinning out the gesso and making it a white wash is genius! What a great set! 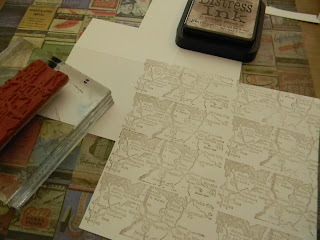 Looks terrific the way you stamped on the patterned paper toned down like that. Beautiful background and the images really pop on background. 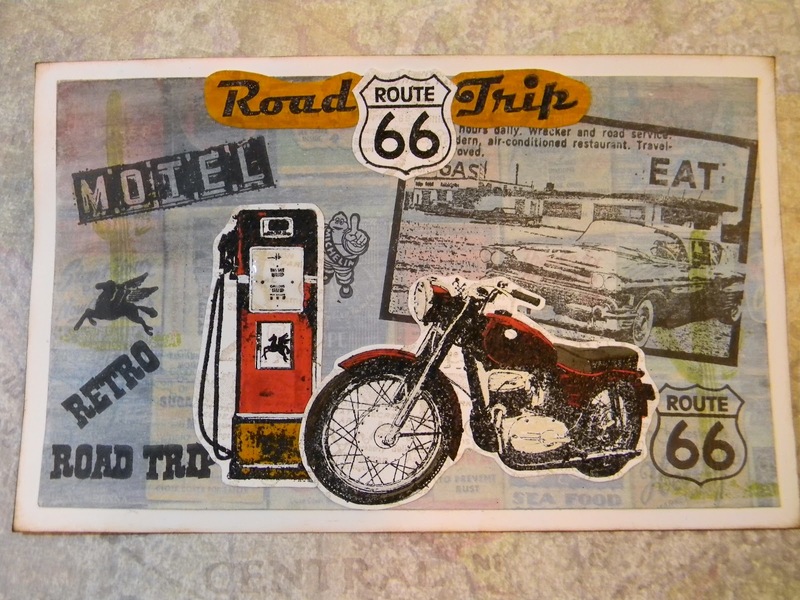 Lovely collage! WoWzA, very cool, Kiddo ... love it! Such a GREAT postcard! What a fabulously creative card this is .... love the use of the gesso to tone down the colours ... thanks for the inspiration!!! 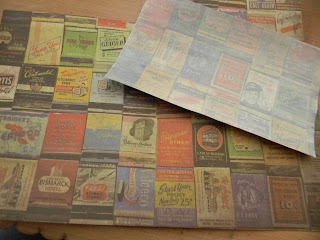 Great collage, luv how you put it together....and thanks for the idea on how to use up some of my paper!